Starry Skies: Peacock *SOLD* Original watercolor painting “Peacock Names the Stars” — in 8″ x 10″ mat. Price includes shipping/handling. Starry Skies: Bear *SOLD* Original watercolor painting “Bear Ponders the Stars” — in 8″ x 10″ mat. Price includes shipping/handling. 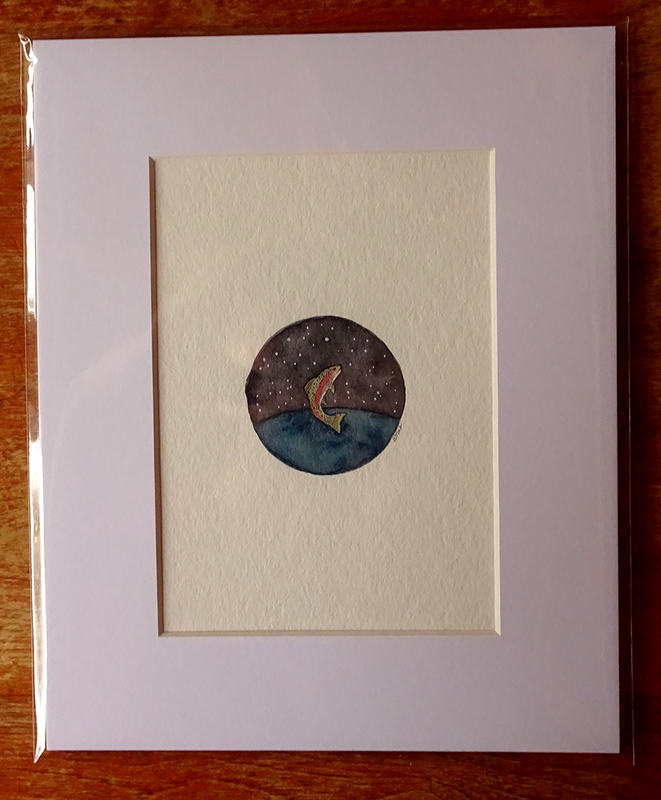 Starry Skies: Trout *SOLD* Original watercolor painting “Trout Flies in the Stars” — in 8″ x 10″ mat. Price includes shipping/handling. Starry Skies: Sheep *SOLD* Original watercolor painting “Sheep Counts the Stars” — in 8″ x 10″ mat. Price includes shipping/handling. Starry Skies: Heron *SOLD* Original watercolor painting “Heron Walks in the Stars” — in 8″ x 10″ mat. Price includes shipping/handling. Original watercolor painting “Mole Smells the Stars” — in 8″ x 10″ mat. Price includes shipping/handling.